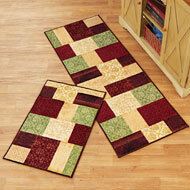 Area Rugs & Area Rug Sets | Collections Etc. 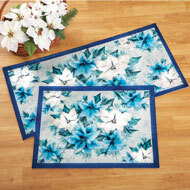 Area rugs are a staple in your home. Not only do they add warmth, style and comfort underfoot, but they also help protect your hard-surface floors and prevent dirt and debris from getting tracked throughout your house. 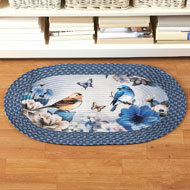 Even though they take a beating (quite literally, sometimes) area rugs can be costly. But Collections Etc. has a huge assortment of affordable area rugs for sale in our assortment, so you can find tailor-made solutions for every floor in your home. We’re big on offering special and whimsical home accents, so be sure to shop here if you’re after rustic, traditional, animal print or Aztec area rugs. Available individually or as part of multi-rug sets that include area rugs, runners and mats, these eye-catching accents beautifully refresh any home easily and quickly. With an exceptional variety and exclusive picks, Collections Etc. 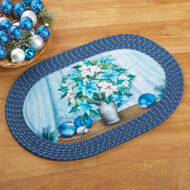 is the best place to find good-looking area rugs on sale.